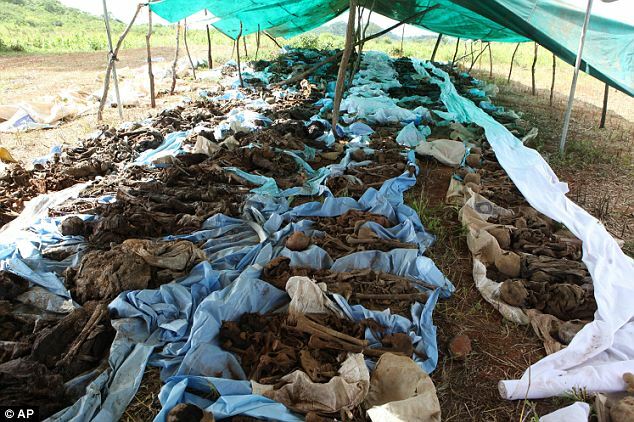 What Not To Do In A Morgue: A Lesson For The Archaeologist? The fantastic Chirurgeon’s Apprentice Facebook page has highlighted this rather dark but entertaining article by Simon Winchester on his experience of working in a morgue for a summer in the early 1960’s. In it Simon explains the many lessons he learned when dealing first hand with cadavers of the recently dead, but he also highlights one big mistake he made with a particular gentleman. “All this may have been a mistake of judgment. It was not, however, the Mistake. That came a month into my employment when a couple of attendants wheeled into the mortuary the lifeless and, except for his bare feet, rather well-dressed corpse of an elderly, white-haired man. By this time such a delivery was quite routine: I had already had many similar encounters with the lately dead. But this fellow was different, mainly because he had a large tag tied around his big toe. On it was written a question mark and in large letters the word LEUKEMIA. I was alone in the building at the time of the delivery, and I wasn’t immediately sure what to do. But a bit of riffling through Mr. Utton’s desk eventually fetched up a tattered old manual describing what to do in the event of discovering gunshot wounds, for example, or upon finding an eruption of angry-looking and possibly infection-laden spots on a corpse. It offered me a single line of advice on leukemia: “Remove femur,” it said, “and send it for examination by the laboratory.” (Winchester 2014). Duly having removed one of the gentleman’s femora for testing and then prepared and dressed the cadaver, Winchester waited for the undertaker to come and take the man away. However the undertaker was not impressed by the rather floppy state of one of the man’s thighs and told Winchester to put something inside it to stabilize it whilst he went away for dinner. 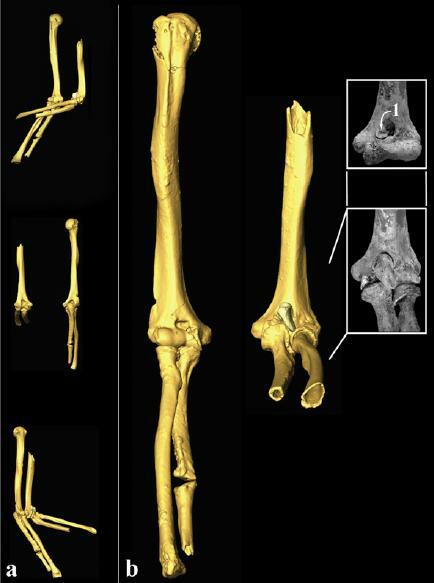 Unfortunately Winchester chose a zinc metal rod to replace the removed femur, unaware that the individual in question was due to be cremated, not buried, the next day. A familiar scene from morgues across the land. 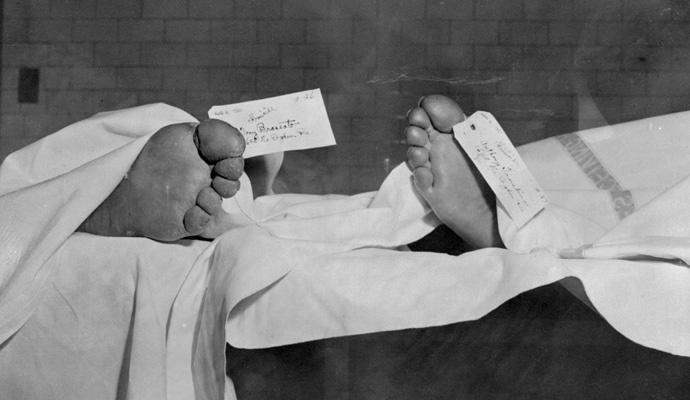 Tags were often kept on the toes of bodies to identify them and highlight any pathology in the body (Image credit: Bettmann/CORBIS, from here). Fortunately a good dose of black humour from the family saved any law suits appearing, but the article did make me think about the implications for this in archaeological record. For example for a person to practice a trade they must first learn and train, often undergoing an apprenticeship under a master or a tradesman. Mistakes are bound to made in any field of trade, particularly where high technical skill is needed to carry out a procedure. I wonder if sometimes, especially in the field of prehistoric mortuary archaeology, some things are held up as examples of ritual activities where there has perhaps been a simple mistake that has been covered up or not uncovered, or a result of the taphonomy processes at play. It also reminded me of a particularly fine biography by Joel F. Harrington of a 16th century Nuremberg executioner that I read late last year. Meister Franz Schmidt (1555-1634) was a remarkable man, known principally as a highly skilled executioner who attained a particularly high rank in the famous city. Contrary to his official position Schmidt also became a well-respected healer in his later life. He carried out his job, indeed his life, with the up-most respect for the sanctity of the position that his father passed down to him, even though he was largely excluded from society because of his job during the majority of his life. Amazingly the intimate details (names, crimes and last moments) of the many individuals that he dispatched, and the execution methods that were used, were all kept in a personally sparse diary that Schmidt himself wrote. 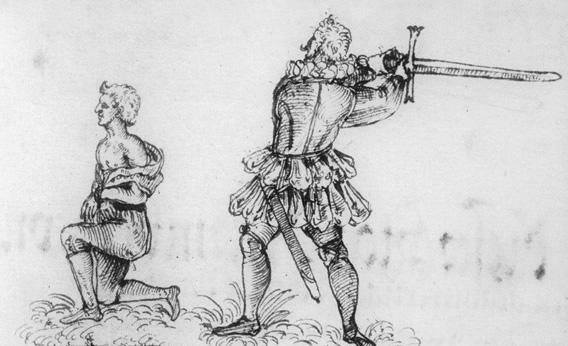 The only reliable picture of Franz Schmidt in action, seen here executing Hans Froschel on the 18th of May in 1591. A brutal but quick death by the sword, a method that required a quick and a steady arm stroke to dispatch the victim. It could easily go wrong if the stroke was not powerful enough to slice and separate the head from the body. (Image credit: Staatsarchiv Nürnberg here). Harrington makes the point that the young executioner, during the process of learning his trade from his father, likely used butchered animals and stray dogs to practice the various execution methods that were used during this period. Whilst the book is full of grisly details (being broken on the wheel must have been hell for one), Harrington (2013) puts Schmidt, his life and work, into a broader German and European political framework that effectively illuminates the value that the executioner played in the keeping of law and order in the 16th century. Being an executioner also often took a physical and mental strain as it was a demanding office to hold, having to both torture and execute criminals but also having to take part in the often elaborate processions of walking the criminal (Harrington 2013). Further to this there was always the constant reminder that executioners who were accused of a botched torture session or execution could find themselves being penalized or outcast, or even executed, much like the doctors of the day who were accused of failing a patient (Harrington 2013). I also recommend Winder’s (2011) informal free for all journey around Germany, which also wonderfully places the country in a historical context and is well worth a read alone for some pretty interesting historical hangouts. The article, by Simon Winchester, can be found here. An extract of Meister Franz Schmidt’s diary and of a talk by Harrington can be read here. Head to medical historian Dr Lindsey Fitzharris’s enthralling site The Chirurgeon’s Apprentice to learn all about surgery in the early modern period. For all your mortuary archaeology needs head to Bones Don’t Lie, a regularly updated blog by Katy Meyers who is a PhD candidate in mortuary anthropology at Michigan State University. Harrington, J. F. 2013. The Faithful Executioner: Life and Death, Honour and Shame in the Turbulent 16th Century. London: Picador. Winder, S. 2011. Germania: A Personal History of Germans Ancient and Modern. London: Picador. “I’d give anything for a good stew and a belly full of beer” announces one character shortly into the 2013 feature film A Field In England. So may the audience at the closing credits of this delightfully dark, thoughtful and surreal film, having endured a turbulent 91 minutes in mid 17th century England wracked by an off-screen civil war. 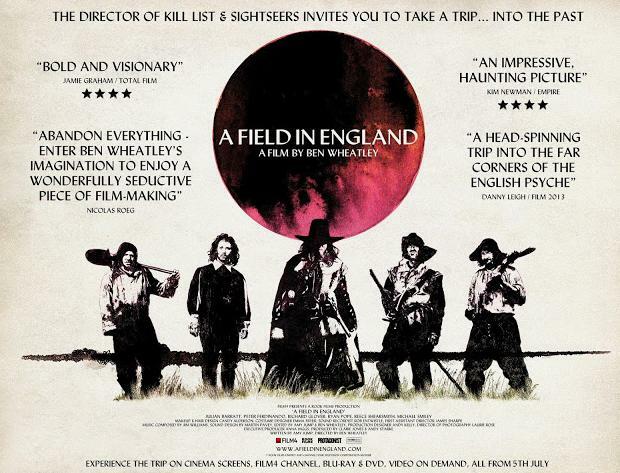 Directed by Ben Wheatley, with a script by Amy Jump, A Field in England depicts the short journey of a ramshackle group of four men (Whitehead, Friend, Cutler and Jacob) who, having been traumatized and disillusioned by blood shed in civil war riven England (1642-1651 AD), desert the battlefield and seek solace searching for a fabled ale-house instead. Only to their displeasure do they find that, during their desperate ramble, they come under the somewhat demonic spell of O’Neil, a man hellbent on finding treasure in a field who subsequently forces the four deserters to prospect and dig for suspected gold. This is a necessarily brief synopsis because the film simply has to be seen to be understood although repeated viewings are recommended, if not required, for this slab of a historical film that potently mixes psychedelia and surrealism. A poster for the film, which was released in 2013. The feature draws obvious creative parallels with the Hammer Horror productions, although influences can also be detected from such classic films as the Witchfinder General (1968) and The Wicker Man (1973) (Image credit: Mr&MrsWheatly). Somewhat uniquely in British movie history the film was released simultaneously to the general audience at theaters, screened on Film 4, and made available both on video-on-demand and to purchase on DVD, all on the same day. A Field In England was filmed entirely in monochrome and relies heavily on the dialogue to help drive the momentum of the action forward. Having said that it is the film’s kaleidoscopic use of visual and sound effects that propel it into the surreal genre, with effective use of disorienting shots of the main characters helping to enforce the viewer to become uncomfortably close to all of them, whatever the audiences feelings on the characters motivations. As the Guardian review of the film points out, it is the distinctive use of the films tableaux shots, long shots and often unexplained scenes that help to highlight and intensify the rare violent viscosity of the characters actions in the film itself (Bradshaw 2013). Throughout the film there is a great earthly humour present in the dialogue throughout the film, which is richly veined with flashes of Shakespearean wit and character exposition. Though it must be noted that the audience is never entirely sure on which side of the civil war that the characters each sit on. Allusions to the fracturing of the fabric of society are noted throughout the film, both through the dialogue and through the monochrome visual effects used. This is perhaps most notable during the breakdown of one the characters who has been indulging in magic mushrooms. It has to be said that monochrome psychedelic images can be quite unsettling, but they are also extremely mesmerizing and effective, perhaps non more so than during Whitefield’s mushroom influenced experience. A still from A Field in England depicting the disturbing use of the magic O’Neil uses on one of the main characters. In particular it is the use of sound during this tableaux scene that really lifts it as a whole, making it both distinctly uncomfortable but also unnervingly rather watchable. As stated above the film does contain rare instances of fairly graphic violence, but it is largely in the form of interpersonal violence conducted between the small group of relative strangers that form the core of the characters in the film (minus the introductory scene). Interestingly, for me at least, there were occurrences of firearm injuries that demonstrated the rather horrible effect of neat entry wounds and the large exit wounds that projectiles can inflict if they exit the body (Aufderheide & Martin-Rodriquez 2006: 28). I’ve tried not to give any spoilers in this quick review but, archaeologically speaking, the skeletal remains and funerary context of the individuals who perish in this film would certainly give the archaeologists some interesting theories to debate. 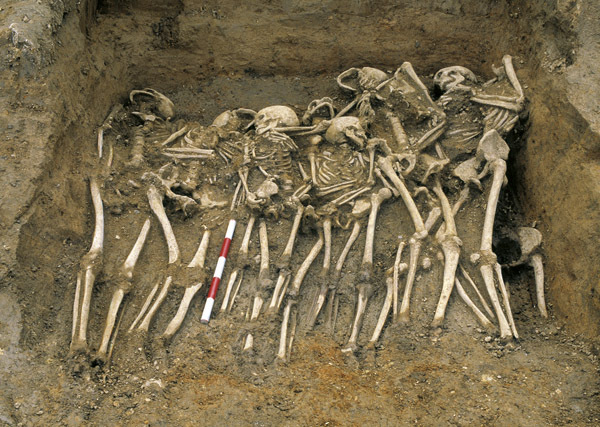 Although it would not be the first time that human burials from the English civil war have intrigued archaeologists as the mass grave site found at All Saints church in York demonstrates (McIntyre & Bruce 2010: 36). A Field in England also combines the characters doubts of the existence of God with discussions of the occult as O’Neil displays a distinct attachment to magic and charms, professing himself to be almost a necromancer. In one particularly entrancing scene he manages to wrap ropes around Whitehead and use him as a human divining tool to locate his buried treasure. In another scene he is seen clasping a black ceramic dish that has a significant and deep meaning for him and he implies it can see into the past, present and future. Merrifield (1987) and Brück (1999) have highlighted the significant wealth in the material archaeological record that can, on occasion, lead to valid interpretations of the importance of ritual functionality and the role of magic in historic and prehistoric societies. This is worth keeping in mind, particularly with A Field In England, as the film demonstrates the intermingling of the Christian faith with pagan practices, a probably common feature of medieval and late medieval England (Gilchrist 2008: 153). In a variety of ways the film also reminded me vividly of Andrey Platonov’s novel The Foundation Pit. This was particularly evident during the last third of the movie where the nature of the treasure is revealed for, as in both Wheatley’s film and Platonov’s book, the pit is never simply just a hole in the ground but a striking metaphor for society, in this case one that seemingly subsumes the bodies of those that question it (Platonov 2010: 224). The Foundation Pit also dealt deftly with the symbolism of the vying individual and the collectivist state and the struggle between the two, similar in tone to the backdrop role that the civil war plays in this film that so sparks the characters to openly question society, death and the absence of God throughout the feature. Although I thoroughly enjoyed watching A Field In England, it is clearly not a film for everyone. There is no doubt that the non-linear nature of the film will confuse many (and leave unanswered questions proposed by the viewer), but the film openly welcomes repeated viewings. Regardless of this, I would recommend the film highly as it challenges the convention that historical films have to abide by strict cinematic convention. Indeed this film actively calls for open interpretation and reflective thinking. This is a playful and subversive film, one that is not afraid to stray into experimental territory to expose the flaws of the characters and to highlight the fundamental changes in the English civil war era. Aufderheide, A. C. & Rodriquez-Martin, C. 2006. The Cambridge Encyclopedia of Human Palaeopathology. Cambridge: Cambridge University Press. A Field In England. 2013. Film. Directed by Ben Wheatley. United Kingdom: Rook Films. Bradshaw, P. 2013. A Field In England – Review. The Guardian. 4th July 2013. Accessed 16/01/13. Brück, J. 1999. Archaeology Ritual and Rationality: Some Problems of Interpretation in European Archaeology. European Journal of Archaeology. 2: 313-343. (Abstract). Gilchrist, R. 2008. Magic for the Dead? The Archaeology of Magic in Later Medieval Burials. Medieval Archaeology. 52: 119-159. (Full article). McIntyre, L. & Bruce, G. 2010. Excavating All Saints: A Medieval Church Rediscovered. Current Archaeology. 245: 30-37. (Full article). 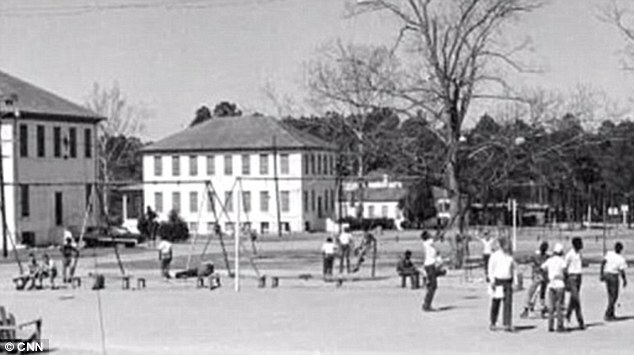 Merrifield, R. 1987. The Archaeology of Ritual and Magic. London: B.T. Batsford.